A guest post by Claire Holland, Director of Marketing Communications at agencyEA. The term ‘employee engagement’ has been used more frequently in recent years, but it’s not always clear what defines employee engagement within a workplace. 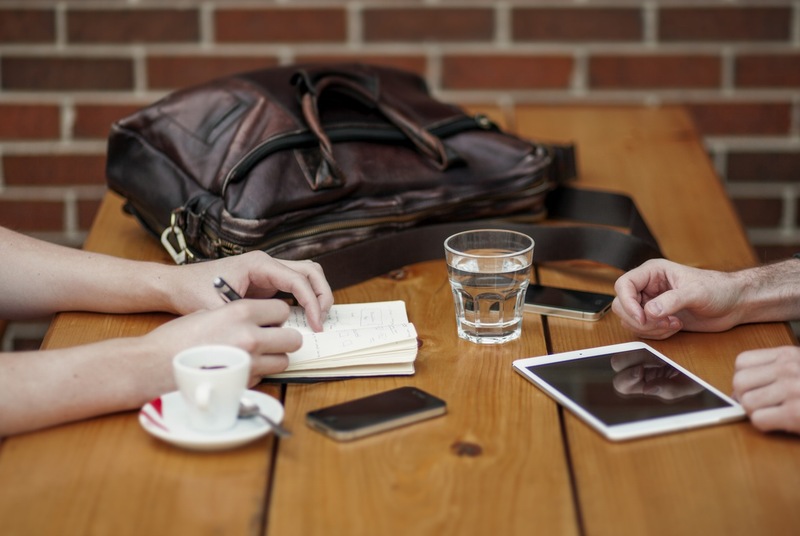 Are employees engaged when they regularly show up for work every day? Or is it referring to “engagement” in terms of going above and beyond a strict interpretation of a job description? Generally speaking, the term describes a deeper sense of commitment on employees’ parts — namely, their willingness to invest energy and skills on their employer’s behalf because they truly care about doing a great job. How many employees on your current team fit that definition? Highly engaged workforces outperform their peers by 147 percent in earnings per share. Companies with engaged employees experience 10-15 percent higher profit growth. Businesses that successfully engage both customers and employees see a whopping 240 percent gain in performance-related business outcomes. Whatever definition of “employee engagement” you apply, research strongly indicates that such employees deliver perhaps the most important business element of all — higher quality customer service. This, in turn, generates greater customer satisfaction, leading to higher sales and higher profit margins, resulting in greater shareholder returns. In short, a win-win all around. So how do you build engagement in your workforce? Hire wisely. Recruiting the best job candidates is a challenge for every business, but when they take a shortcut and hire someone who ostensibly “checks off” certain boxes, actual engagement in the job seems unlikely. By contrast, taking the time and resources needed to actively recruit the right individuals — not just for a laundry list of job qualifications, but for other key qualities as well — usually results in a genuine payoff for the business. What are those “key qualities?” In most cases, qualified job seekers with an enthusiastic, dynamic personality are prime candidates for future engagement, as are those who demonstrate an inclination toward teamwork and collaboration. Require managers and leaders to “walk the walk.” Intentionally or not, many employees look to their boss (and the company’s senior management) as examples or role models for appropriate workplace conduct. Managers and others who lead by intimidation or who are visibly detached from the work environment send exactly the wrong message to employees. On the other hand, managers, CEOs and business owners who encourage employee feedback and professional development help cultivate a “culture of engagement” that can prove irresistible to many employees. Offer opportunities to learn and advance. Men and women putting in 40 or more hours a week on the job generally don’t want to get stuck doing the same things (for the same paycheck) over and over again. Professional development offers a path toward career advancement, and businesses that promote learning generally see higher levels of employee engagement. If you hire talented, ambitious individuals, be sure to offer learning opportunities through work-related workshops, seminars, webinars, company-held conferences, etc. Yes, this requires additional expenses and resources, but when employees expand the range of their knowledge and skills, they often feel a stronger connection to their employer — and their enhanced abilities usually translates into greater productivity on the job. Challenge employees to do more. Are you getting the most out of your current crop of employee rock stars? These unique individuals hunger for more of a challenge in their jobs, so it’s your responsibility to give them new projects or initiatives to tackle — either on their own or by leading a small group of co-workers. Doing so builds confidence and leadership skills, qualities that virtually every business finds essential to continued growth. Explore opportunities to promote teamwork. Employees who aren’t engaged with their jobs often feel isolated from co-workers. When you offer opportunities for individuals to collaborate as a team and achieve work-related results that wouldn’t be possible on their own, employees bond with one another and feel a stronger connection to the business in general. Team-building activities don’t have to be strictly job-related. Look for occasions where employees can gather in an informal setting from time to time, just to “hang out” and get to know each other better. Give people a sense of where they “fit in” with your company’s future. Again, disengaged employees lack any sense that what they do has genuine bearing on their employer’s future success or failure. Rather than leaving people feeling like they’re of little significance to the overall business success, take time to highlight the value they provide both to your business and your customers. 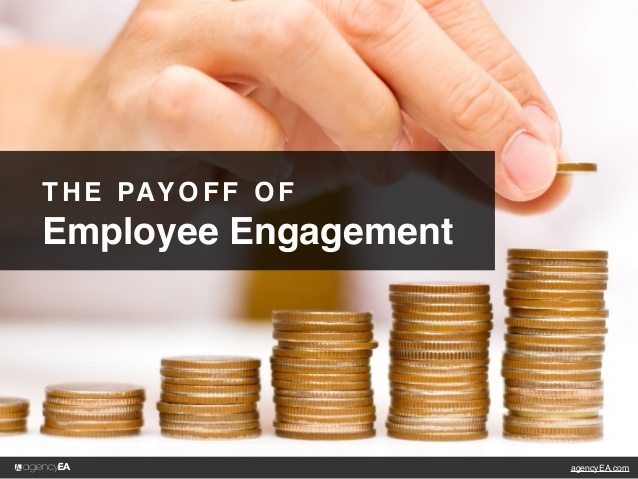 There’s a reason businesses are actively pursuing the goal of enhanced employee engagement. No business can succeed without a talented and dedicated cadre of employees, so it’s more critical than ever to cultivate their talents, treat them humanely and encourage them to grow along with your business. Claire Holland is Director of Marketing Communications at agencyEA in Chicago, a brand experience agency specializing in experiential, digital and traditional engagement. She guides the strategic vision of the company’s brand, messaging and voice, while supporting and evolving brand strategies for clients. Holland also oversees agencyEA’s internal and external marketing communications, including digital marketing and public relations.